Artistic Director, Conductor, Composer, Arranger, Vocal Coach and Publisher. “A national treasure in the field of composition and choral conducting, Alfred Kunz has contributed his enormous creative and organizational energies to the musical culture of the German Canadian community, in general, and to the Kitchener-Waterloo community, in particular, since 1955. For fifty years he was the conductor of the Concordia Club Choirs and is the driving spirit behind the founding of several choral groups, including the Waterloo Regional Police Male Chorus, the Bach Kantate Singers, the Joshua Singers, the Nith Valley Singers, Music Alive Choral Organization, and the Millennium Concert Choir. For a decade and a half during the early years of the University of Waterloo, Alfred Kunz was involved in music making with the campus community. During this time he organized choirs and presented many challenging performances drawn from the classical repertoire as well as from his own work. As a composer, his works have been performed by various professional and amateur organizations across Canada and, indeed, in Europe. He is prolific, and inclined to the avant-garde. 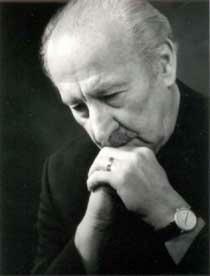 Alfred Kunz is committed to the concept of music as a life skill rather than as a performance technique. His work has consistently demonstrated his unflagging commitment to the very ideal of music and to music itself as a necessity for a truly humane society.